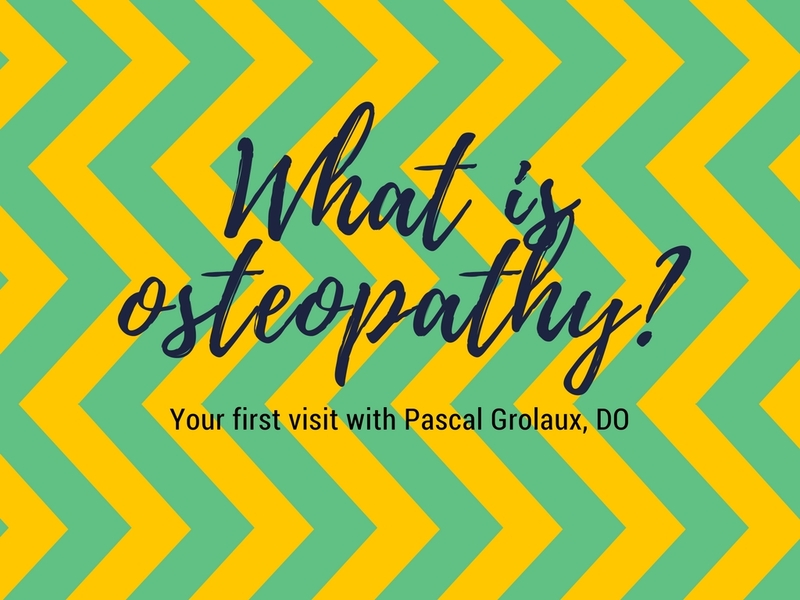 When Pascal Grolaux, DO, treats a patient complaining of foot pain, he doesn’t just examine the foot, he looks at the whole body. “The body is lazy,” says Grolaux, “it will compensate in the best way it can to avoid pain, so we need to dismantle those chains of compensation to allow the body to heal properly.” Osteopathic medicine is a patient centered approach, not a symptoms centered approach; we are looking for the cause of the problem. An initial osteopathy visit at Kinesis Health Associates begins with a full health history. This patient evaluation is an important step to help the osteopath understand the condition and start to find the cause. From there, it’s a hands on approach because, “the body doesn’t lie,” Grolaux explains. Treatment involves the whole body from the bones to the organs, emphasising how everything relates to each other. “Every body is different,” Grolaux says, “It’s a puzzle and we are looking for possible connections.” Osteopaths are trained to feel for changes in all body structures, from thejoints and muscles to the cranium and the viscera and perform the right adjustments when needed. On occasion patients may be referred for more tests, like bloodwork for example.